Today I am co-hosting my first ever link-up! I love these because it’s a great place to connect with other bloggers and make some good friends! 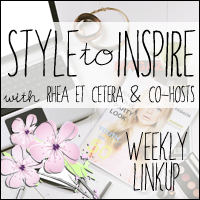 I just found a few great blogs that do these link ups and I reached out to Rhea from Rhea Et Cetera to co-host! I just got home from a quick trip to NYC and I absolutely loved it, I really am not a person that likes to be in crowds but it wasn’t as bad as I thought it would be! Saw a few strange things in Times Square, but that was expected. 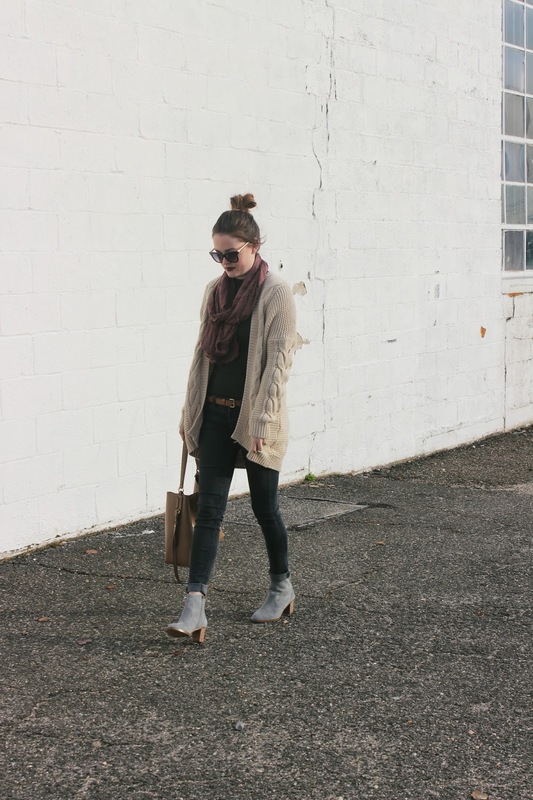 We stayed in a little town right outside of Manhattan and stopped to get some outfit photos before the craziness in the city. I definitely can see myself living in NYC, but of course my husband begs to differ. The weather was pretty great for the trip, just that perfect Autumn weather. Sometimes I like to layer sweater on sweater to stay extra warm in the Autumn and I spotted this honeycomb textured sweater and had to have it. I have a strange love for anything with hexagon shapes, I see it I buy it. I can’t forget to mention these boots! I absolutely adore them and of course didn’t have anything in my closet like them. I’m pretty sure you’ll see a lot of them on here soon! 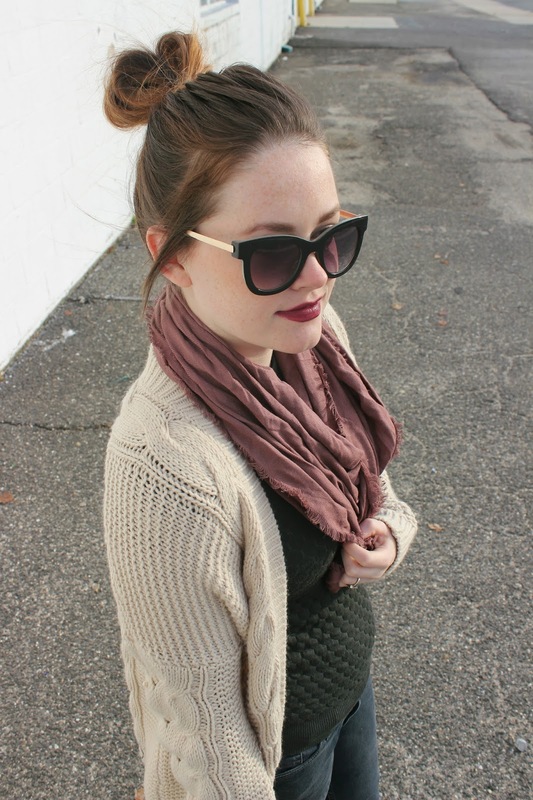 Welcome this week’s cohost, MacKenzie of Encourage Fashion! 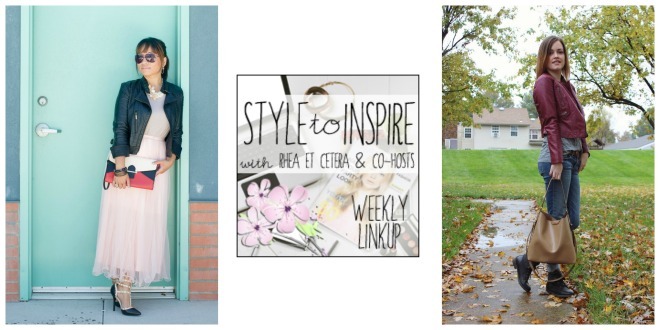 1) Please follow your host Rhea via Bloglovin and your cohost MacKenzie via Bloglovin. Would love if you leave us a comment, too! 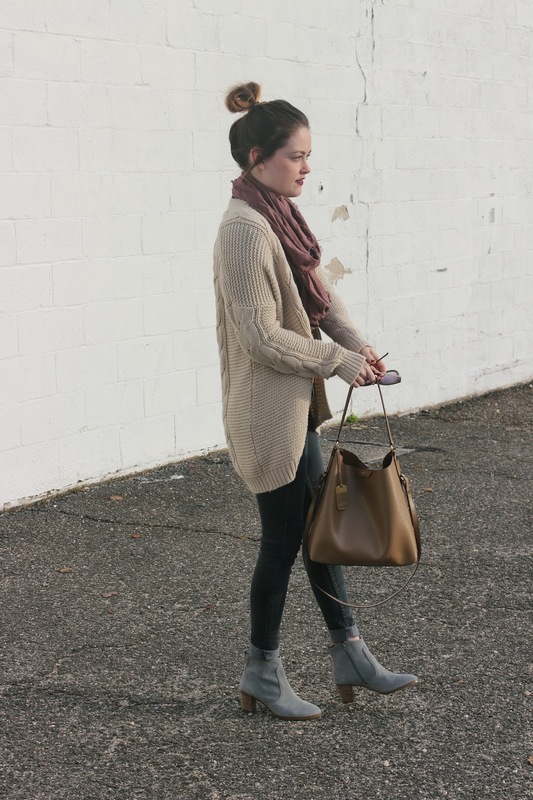 Love the neutral colors! 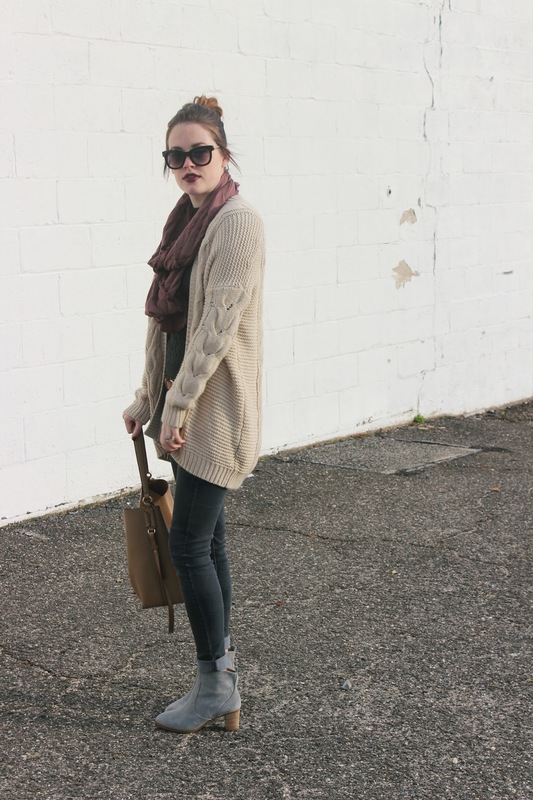 Your sweater and scarf look so cozy! 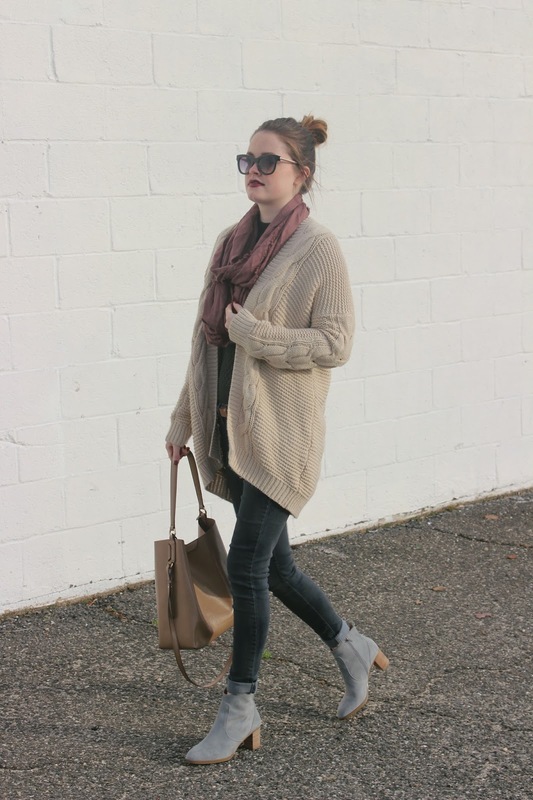 This is the perfect outfit for this time of year! Thank you for letting me co-host!